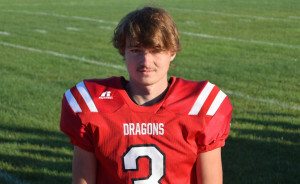 The New Palestine Dragons entered the season with a number of new faces on the roster. But the season produced the same results. 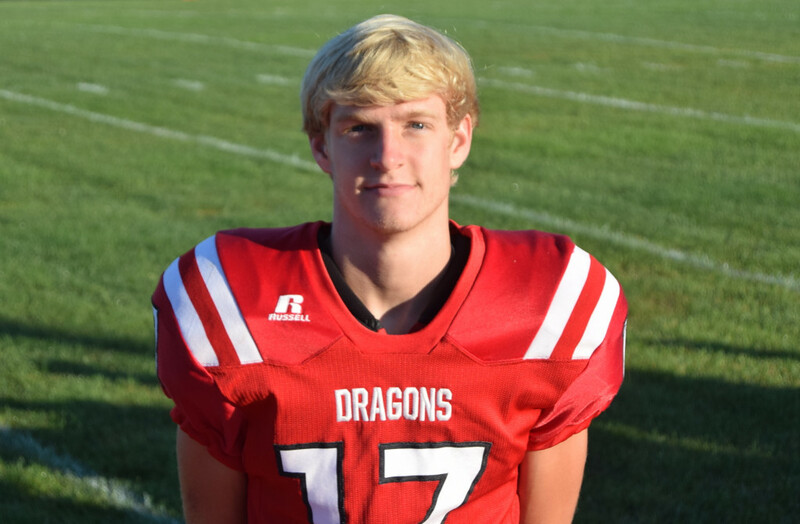 A week after clinching the Hoosier Heritage Conference title, the Dragons finished their fifth consecutive undefeated regular season Friday, beating host Delta 55-7. 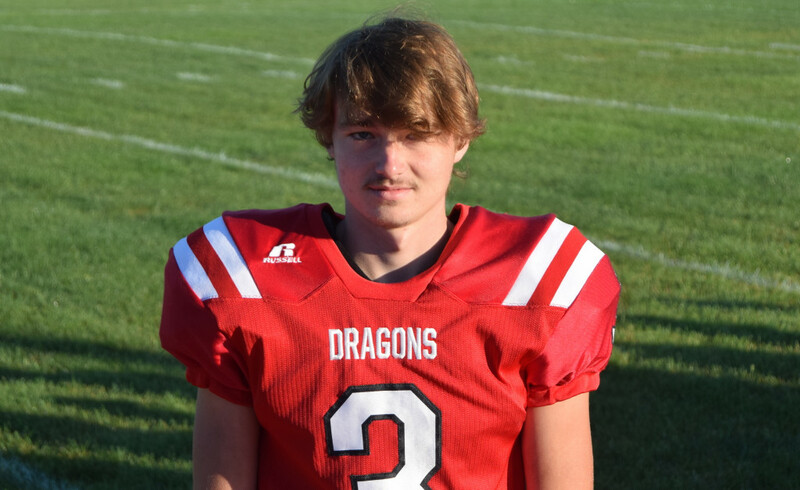 Quarterback Zach Neligh had another career game, throwing for 322 yards and four touchdowns, while the Dragon defense bottled up one of the state’s top rushers in the victory. NP held Delta’s Charlie Spegal – who came into the game averaging more than 250 yards per game – to 110 yards. The Dragons’ regular season streak of 45 games is the seventh-longest in state history, dating back to 2013. The Dragons imposed their will early, dialing up big plays in the passing game. Neligh hit Jaxon Manes for a 44-yard TD on the first possession, then dialed up a 61-yard pass to Colby Jenkins to set up a short touchdown run minutes later to put NP up 13-0. Neligh also threw first-half TD passes to Ryker Large from 17 yards out and to J.T. Hoffman from 49. Neligh completed 14-of-22 passes in the contest, hooking up with six different receivers. Eight of his completions were for 15 yards or more. It marked his third straight 250-yard passing game and his second straight game with four passing TDs. Hoffman had a career day with 144 yards on seven catches, while Manes had 100 yards on three grabs. Each had two TDs. Jenkins added a 91-yard game. Luke Canfield ran for 108 yards and a score, his seventh 100-yard game of the season. NP amassed 600 yards of total offense for the second straight week. A big key was the balance in both the running and passing game. But the standout was NP’s Red Rage defense, which didn’t allow Spegal and Delta’s powerful rushing offense to get untracked. Spegal was held to 34 first-half yards, and was held to less than half his season average of 258 yards per contest. In total, Delta gained 197 yards – with the lone TD coming after a long kickoff return set the Eagles up at the NP 32 in the third quarter. Spegal had three carries for more than five yards in the contest. The Dragons now look forward to the Class 5A tournament, which they will begin Oct. 27 against Muncie Central at Kelso Stadium. NP has won three sectional and regional titles in the last four years, and showed tournament-level physicality. Jaxon Manes had 110 receiving yards and two touchdowns. J.T. Hoffman had 144 yards and two TDs.